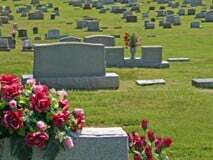 The experienced staff of Mountain View Park Cemetery can help you arrive at the perfect decision for you, and your family. We would be honored to guide you through the cemetery grounds, explore your perspectives, and make suggestions. Ultimately, the decision is in your hands; but our expertise can certainly guide you. Sometimes one family member wants to be buried and another wishes to be cremated, yet they want to be together. Because we know this to be a common wish, Mountain View Park Cemetery makes it simple for families. Our staff will help you arrange for a common burial of both loved ones in the same plot. Call Mountain View Park Cemetery at (770) 424-0390, or send us an email inquiry today to discuss your options. Deciding on the type of memorial property is a very personal decision. Mountain View Park Cemetery provides a setting where meditation, reflection, remembrance, and healing can take place. 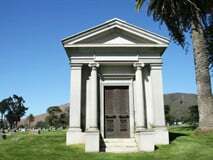 The mausoleum atMountain View Park Cemetery is a community mausoleum with crypt spaces and cremation niche sections. Private family mausoleum property is also available. These mausoleums are individually designed, custom-built and personalized to reflect the traditions and values of the individual. Cremation niches, including those with glass front panels, are available in our mausoleum. 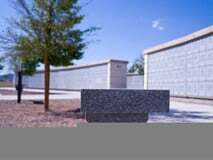 We also provide private estates, bench, tree, and statue memorial interment of cremated remains.